Last night I read about the Book of Kells in Christopher De Hamel's beautiful and astonishing book "Meetings with Remarkable Manuscripts." 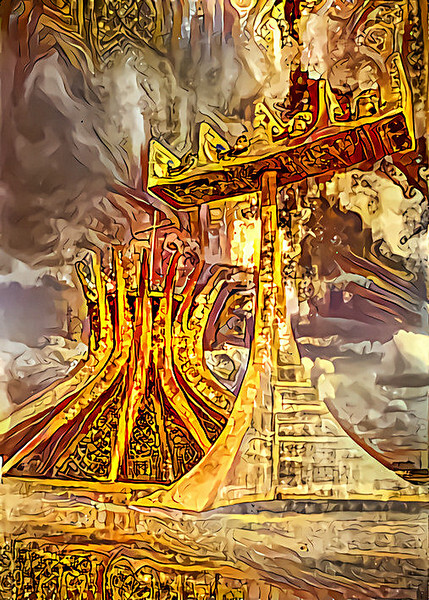 I thought the Book of Kells images would make excellent styles for the Deep Dream Generator AI image processing site so I snagged a screenshot of a lavish Kells page and applied it to a Kodachrome slide I snapped of the Cathedral of Brasilia back in 1979. This is the result. AI image tools make excellent crayons.